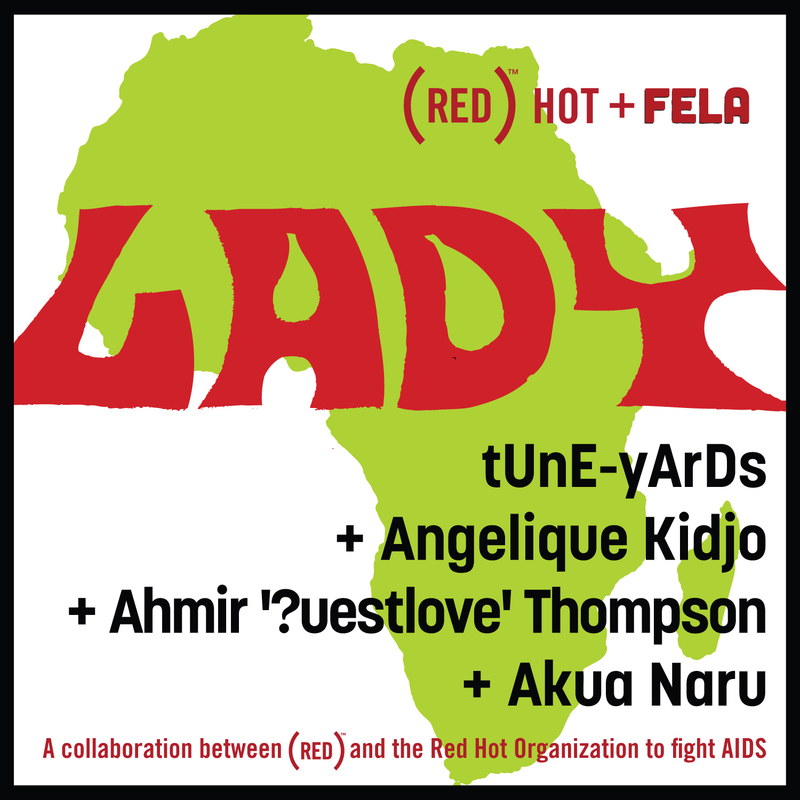 GLOBAL A GO-GO: tUnE-yArDs + Angelique Kidjo + Ahmir ‘?uestlove’ Thompson + Akua Naru | "Lady"
tUnE-yArDs + Angelique Kidjo + Ahmir ‘?uestlove’ Thompson + Akua Naru | "Lady"
Here’s the first track from the forthcoming (RED) Hot + FELA album, due in 2013 – a version of Fela’s “Lady” as conceived by Merrill Garbus of tUnE-yArDs. Garbus assigns herself and two friends the seemingly low-profile background vocals task – their sui generis harmonies are perfect in this role, one of the track’s highlights. Powerful Angelique Kidjo is a perfect fit for the lead vocals, and ?uestlove of The Roots really nails Tony Allen’s drum-kit polyrhythms. 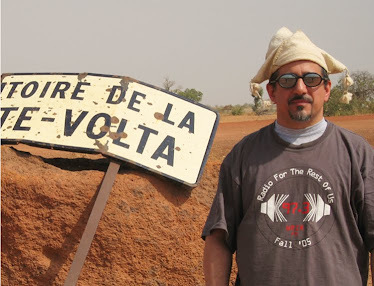 And Garbus completely flips the song’s meaning (it’s one of Fela’s most misogynistic, and also one of his most anti-colonial) by omitting the verses and substituting an impressionistic feminist rap by up-and-coming MC Akua Naru. 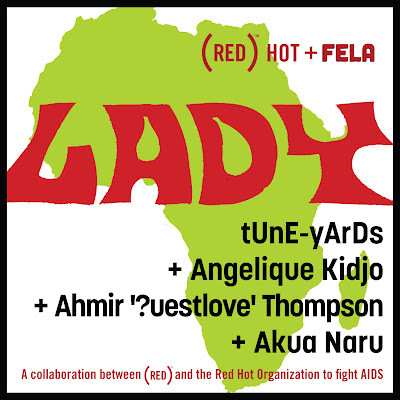 Excellent concept, nicely realized by all involved – a very worthwhile update of one of the most powerful yet troubling songs in Fela’s catalog.